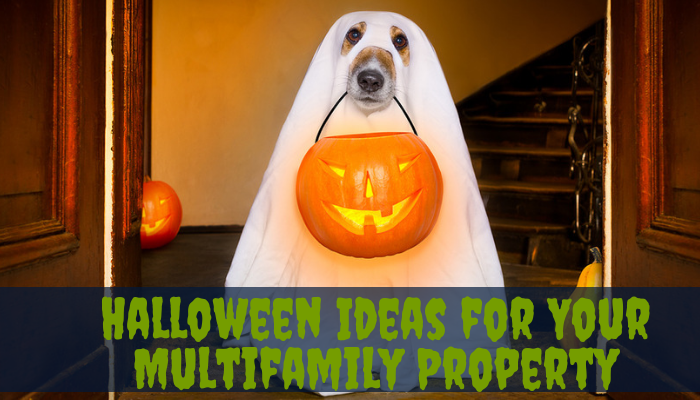 Do Your Tenants Have Long-Term Guests? To protect yourself and your property, every adult living at your rental unit should sign a lease agreement to hold them legally responsible for rent payments and conditions of the lease. Most standard leases stipulate that tenants are accountable for any guests’ behavior and are responsible for enforcing the property’s rules and regulations. But what happens when a guest becomes more than just a temporary visitor to your property? A long-term guest that considers your property his home, needs to be handled differently than the standard guest language in a lease agreement. 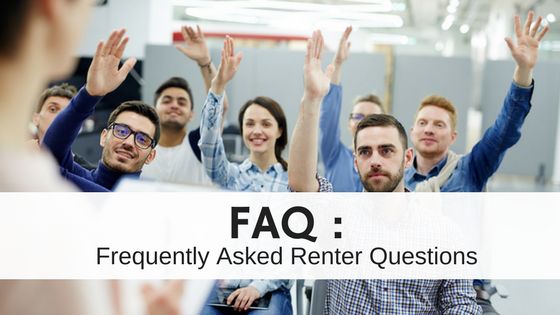 Even if this long-term guest was not involved in the original lease signing process, it is in a landlord’s or property manager’s best interest to make sure any person living at the rental property is documented and accountable to the terms of the lease. What is a Long-Term Guest? While some states might have a designated time period in which a temporary visitor is classified as a long-term guest, in most cases a landlord can specify if a visitor becomes a long-term guest after 7, 14 or 30 days (or more). It is the responsibility of the landlord to include lease conditions about when he needs to be notified if a guest is staying at the property for an extended period of time and at which point the guest needs to be added to a lease agreement. 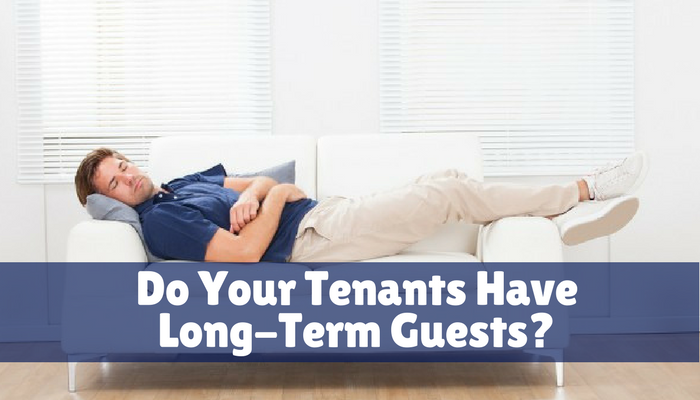 Why Do Tenants Have Long-Term Guests? 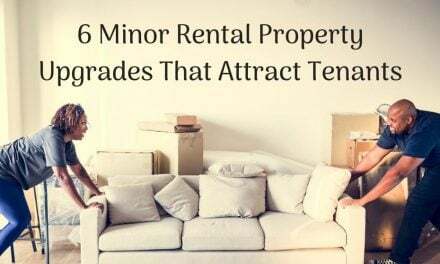 Your tenant may not even realize they are violating the conditions of your lease when they let a friend crash on the couch in between jobs or apartments. Or maybe a family member is visiting from out of town or going through a life change and needs the support of your tenant. Other common situations involve romantic relationships, where a tenant invites a boyfriend or girlfriend to stay with them. Or an adult child going through a transition. A couple days easily becomes a few weeks and after awhile, the temporary guests have been calling your property home for months. Why Are Long-Term Guests Dangerous? Long-term guests can become a liability to a landlord or manager when they fail to uphold the rules of your property and conditions in the lease agreement. A long-term guest can evolve into a bigger liability if you are in the process of evicting a leased tenant, but are unaware of an undocumented occupant. If someone claims to live at your property but is not listed on your rental agreement, the eviction process will become more complicated when the unlisted tenant makes a claim to your property and refuses to move out. Do I need to have screen long-term guests? As a landlord, it is your right and responsibility to protect your property, yourself and your residents by taking the appropriate steps to ensure your tenants are responsible renters. Anyone who signs a lease agreement to live at your rental property should go through a tenant screening process to ensure their fiscal responsibility and rule abiding behavior. If you require a long-term guest to become listed on the lease, you should proceed with your standard tenant screening criteria. Your state laws may have specific regulations about how you can enforce long-term guest clauses in your lease agreements. You should also consult state and local laws concerning the number of adults legally allowed per bedroom per property. Talking to a lawyer familiar with your region’s landlord-tenant laws is the best way to protect yourself, your property and your tenants’ rights. If a long-term guest refuses to go through with your screening process or sign your lease agreement you may be able to void the lease altogether and move forward with an eviction on the grounds that your tenant did not uphold the conditions of the lease regarding long-term guests. PreviousQuiz: How Good of A Renter Are You? My lease also stipulates a per diem penalty if a guest is there and we did not get notification. Some of these may not stand up in court, but the worst that can happen is a judge will disallow it. A solid lease with specific language about how you expect your tenants to manage guests visiting the property, including notifying you, is very important and provides a good foundation for establishing clear lines of communications between you and your tenant. Thanks for the feedback! I always tell my tenants that long term guests get old fast. Like fresh fish ,after about 3days they both start to stink. Im the tenant on the lease. I had guests that refused to leave after three weeks of visiting. They have turned on me and have locked me out of the home i rent and im now being evicted. They are destroying the house, they are violent towards me when I try to go into the house, had me arrested for breaking a window that they broke, landlord wont help me, neither will the police. And Im being held responsible for alk of the damage they are causing to the house, i lost my job due to being arrested, and im living in my car. How can any of this be possible? I am sorry to hear about your situation. Sounds really stressful. Unfortunately, since your name is on the lease, you will mostly likely be held responsible for all these events. Most rental agreements state that the lessee will be responsible for the behavior of their guests, including property damage. I would highly advise that you speak with a lawyer to help you figure out your options. Like I mentioned in my response to LAE, the best advice I can give is to speak with an attorney. 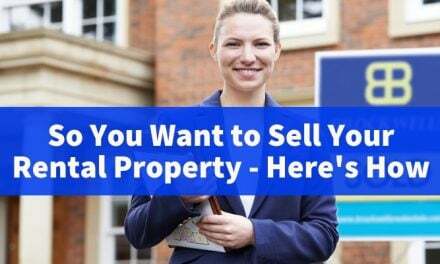 Seeking legal counsel at this point, is really the only option, as they will be able to advise the renter on the best way to protect oneself, work with local law enforcement, and take further steps on regaining control of the property. It’s truly an unfortunate and stressful situation and I wish everyone dealing with challenging housing situations the best of luck. That was the worst advise I think I’ve ever heard! Shame on you Kaycee Wegner………….yes unfortunately there are some @$#&*% people out there in the world who decieve and lie to gain a foot in the door. People who take advantage of those who are weak or suffer from mental illness. Kaycee makes this sound like your screwed, but your not. You also have rights. Talk to a judge, a doctor, but talk to someone. Take action. It will be rough going at first but these types of people don’t meet the same requirements of a guest………….am I not right??? Jay, I agree with Kaycee the the tenant will be responsible for property, after all, the tenant allowed them to enter the premises as their guest. If they were “forced out” of the home they rented, a call to the police and a trespassing warrant would have helped. In my experience, Lae is not telling the whole story. This is amazing. Thanks for sharing…..
you have mentioned all the valid points here. I agree with all these.